Lifting ring Subcooling expansion valve, subcooling solenoid valve, subcooling liquid sight glass, subcooling off-valve. Reservoir has 28 bar safety valve 8. 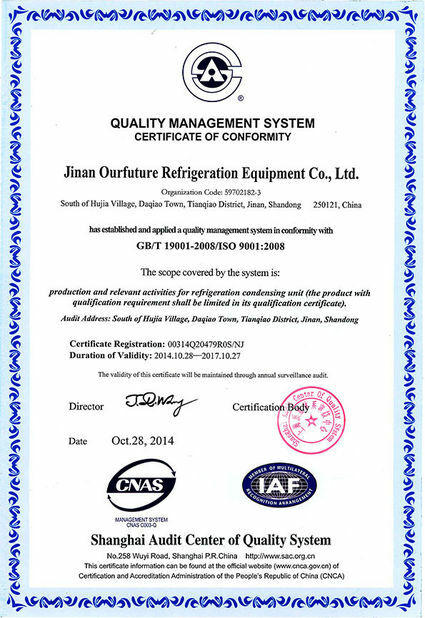 Compressor electronic controller and protection assembly. Reservoir inlet/outlet off-valve Compressor high/low pressure controller. Reservoir sight glass Electronic overcurrent protector. Reservoir out filter barrel drier, contains filter Independent circuit breakers and thermal protector. Filter drier barrel oulet has shut-off valve. PLC controller and color touch screen. 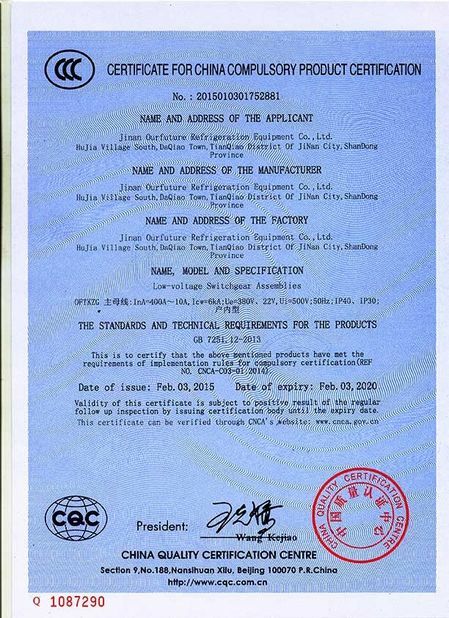 3.Exhaust gas assembly 9. Fluid supply manifold and return manifold assembly. Oil separator outlet backstop shut-off valve Manifold adopts hard straight pipe. 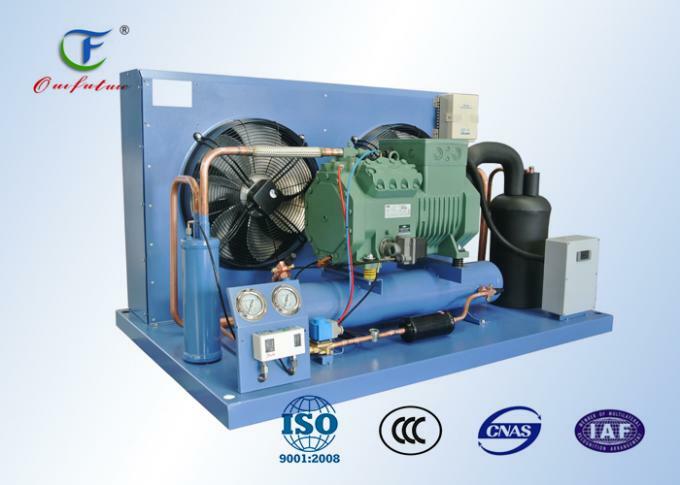 Compressor cushion Cooling type: air cooled, water cooled, evaporative cooled. 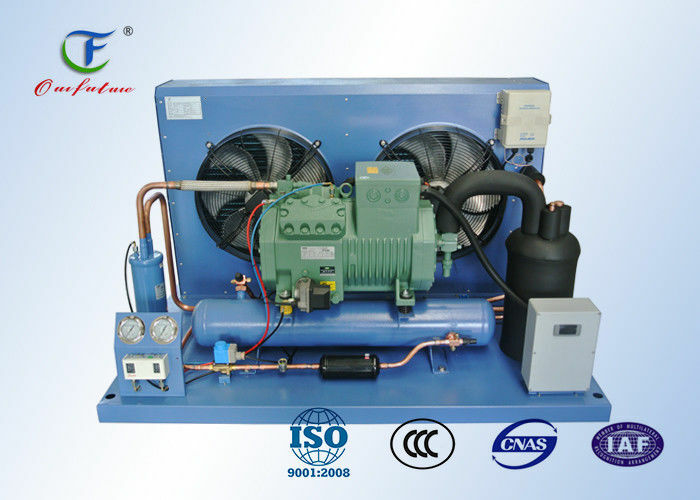 Low temperature single stage compressor liquid spray cooling Heat recovery device. High efficiency coper tube aluminum fin conderser. Semi hermatic compressor, air cooled condenser, reservoir(vertical reservoir for under 5HP, horizontal type for above 6HP), crankcase heater, dashboard, filter, sight glass, frozen oil, oil pressure differential controller(except for octagonal unit ), double stage unit has intercooler.